Theory crafting PVP griefer build? The concept of this build is to use a very fast weapon like the mr handy buzz saw in combination with the overly generous perk. The total offense required for this build is a single 2 point perk, so we can focus the rest of our points on being as tanky as possible allowing us to have ourselves irradiated enough to trigger the overly generous perk. Posted by paowee in Fallout 76 Character Builds. This build uses Serendipity & Nerd Rage to give you a significant buff when at low HP. Coupled with all the damage resist and damage reduction perks you get it makes you a super tank when your health drops below a certain percentage, making you the Last Man/Last Woman in every moshpit! 2 posts, last by pallyftw 5 months ago. Posted by WhoDaHow in Fallout 76 Character Builds. Let me know what I could change around! Posted by Arakkun in FalloutBuilds.com Feedback. 2 posts, last by Dennis 5 months ago. Posted by Gohla in FalloutBuilds.com Feedback. 3 posts, last by Gohla 5 months ago. 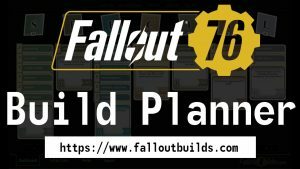 Posted by OolongPanic in FalloutBuilds.com Feedback. Perk card Class Freak is not actively reducing Mutation negatives. The Luck card Class Freak should actively alter the negative stats of Mutations. Ex: Class Freak reduces negatives of mutations by 25% per rank. If a build has the Marsupial Mutation this reduces Intelegence by -4. At rank 2 of Class Freak this mutation should only reduce build Intelligence by -2. However, currently at rank 2 of Class Freak with the Marsupial Mutation the front page of the build still shows and active reduction of -4 Int. as if there was no change. Posted by saintcat in Fallout 76 Character Builds. Sneak your way in, die to get out. As you silently slaughter your enemies they will only know at the very last second the manic look in your eyes and that they died to naked person. wuuuuut?! There is no retreat! Do or die! There is no try! HI. read. level. kill. cleave. smash. shoot. die. Posted by Carlton in Fallout 76 Guides & Tips. How to use Perk Cards giving the chance to find extra loot. Butcher’s Bounty: Chance to find extra meat. Can Do! : Chance to find an extra canned good. Pharma Farma: Chance to find extra first aid Chems. Scrounger: Chance to find extra ammo. 1) They only work when searching specific containers. 3 posts, last by Dra6o0n 5 months ago. 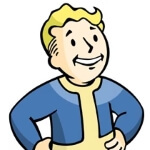 Each level up (until you reach level 50) you can put one point into a S.P.E.C.I.A.L. attribute and then choose a Perk Card. The Perk Card doesn’t have to be from the same S.P.E.C.I.A.L. attribute you’ve put the point in. So you can e.g. put a point in Strength but choose a Luck Perk Card. After you’ve chosen a S.P.E.C.I.A.L. use Z and C to navigate through all the available perk cards. 2 posts, last by Dra6o0n 5 months ago. Posted by Lokaz in Fallout 76 Character Builds. My sneaky covert soldier build using auto rifles utilizing sneak dmg. on long range and vats support in close range. Change charisma card to lone wander if going solo. Posted by RoyalShooter in Fallout 76 Character Builds. support your team with FRIENDLY FIRE and TEAM MEDIC healing. Build stats: waiting to be tested. Hi everyone, this is my take on the Unstoppable force. I found that the build is putting too much point on the same perk card. Most perk card drops its efficiency on more than one point. So I change it a little bit. Posted by Damodar in Fallout 76 Character Builds. If you are lucky enough you’ll get this cards from packs.